The view of the Gulf of St. Lawrence from the Brake's Cove Trail. In the Bay of Islands, a traveller can find a bounty of adventure - from boating and fishing, to rock climbing and spelunking. The city of Corner Brook has all the urban delights, while the surrounding area is blessed with natural charm and beauty. A great way to view the Bay of Islands is on foot and there are enough hiking trails on both sides of the bay to ensure you get the complete picture. This beautiful hike starts in the west end of Cox's Cove, with steep steps that lead to the shore and eventually on to the abandoned community of Brake's Cove. 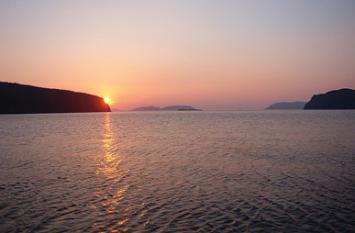 (It's best to take this hike at low tide to enjoy the seaside stroll; otherwise you'll have to amble along the hills.) In Brake's Cove, see the remnants of what was once a bustling community, including the foundations of herring stores where the inhabitants once cleaned their catches; the indentations left in the ground by old potato fields; as well as a cemetery where residents of the former community are buried. Take along your camera for an awe-inspiring snapshot of the Gulf of St. Lawrence. Experienced hikers will enjoy continuing their journey past Brake's Cove. Walk another kilometre to Sammy's Beach, where archaeologists have uncovered evidence of Dorset Palaeoeskimo history. Back in Cox's Cove, take a break and have a snack at the picnic area. 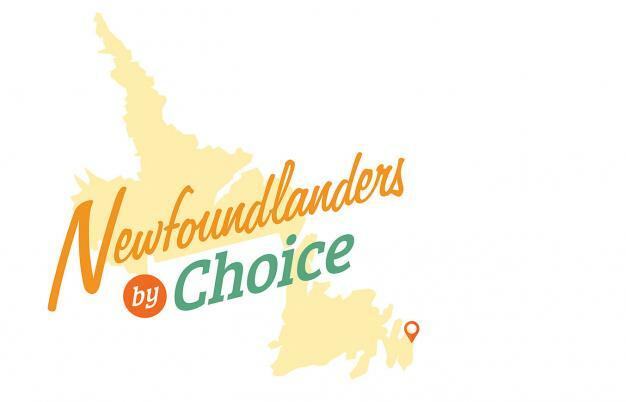 Hop aboard a tour with True North Charters, starting at the public dock in Cox's Cove. 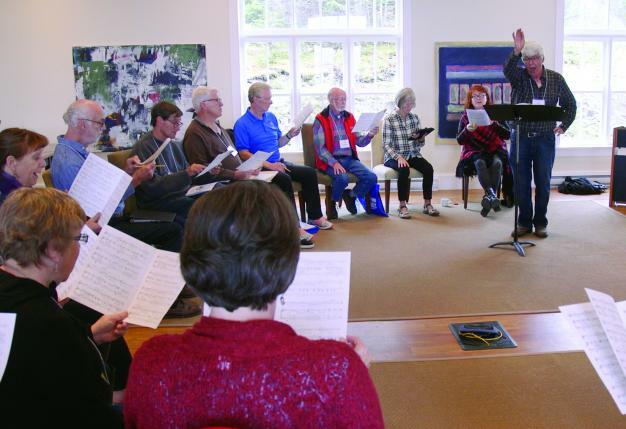 The friendly hosts will tell tales of the resettlement era, while passing along by the abandoned communities of Brake's Cove, Penguin Arm, Goose Arm, Manuels and Wells'. This is a hike the whole family can do spur of the moment. It doesn't take a lot of time and it has plenty of rewards. Beginning in the provincial park, located on a peninsula between Lark Harbour and York Harbour, set out on the half-kilometre trail to the lookout. 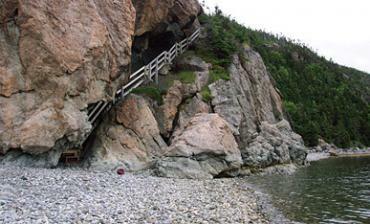 It is easy to navigate the boardwalk, and the stone steps are a curiosity you have to see for yourself. Called Govemor's Staircase, the steps are naturally shaped - not manmade - from 450-million-year-old volcanic rock striped with veins of white quartz. In just a half-hour, you'll arrive at the lookout to take in an awesome view of the Bay of Islands, the limestone cliffs of Murry Mountain, Tortoise Mountain and the highest, Blow Me Down Mountain at 650 metres above sea level. A system of constructed, groomed trails in this west coast city affords the opportunity to tour its urban and natural areas with several jumping on and off spots. Amble through the downtown core - the art galleries, museums, restaurants and historic Broadway shopping district - with entry and exit points at the Glynmill Inn, Margaret Bowater Park, Sir Richard Squires Building and City Hall. Or from Crocker's Road at the TCH overpass, pick up the trail above Margaret Bowater Park and see for yourself its spectacular view over the city. There are several rest stops on the Corner Brook Stream Trail for quiet moments of reflection. 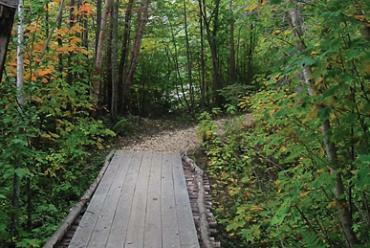 Nature is at your footsteps on this 3-km trail, rated easy. It is maintained by the Aquatic Centre for Research and Education. The trail begins just outside Irishtown at Huges Brook Bridge and follows the length of the river to where it empties into an estuary. Observant hikers could see a wide variety of animal and plant life, such as muskrats, moose, beavers, blue jays, woodpeckers and waterfowl. ACRE has also installed nesting boxes in the trail area for birds and bats, and there is a viewing platform overlooking the estuary, as well as Corner Brook and Bay of Islands. In addition, geocachers with their GPS will find a cache hidden somewhere on this trail. 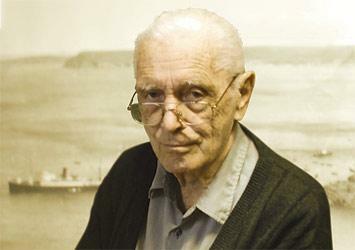 In the December 2009 issue of Downhome, we share the incredible story of St. John's-native Thomas Goodyear. The 89-year-old is the last surviving member of the 114-member crew of the ill-fated Merchant Navy ship, the Nova Scotia. While travelling off the coast of South Africa in 1942, a German submarine blasted the Nova Scotia with three torpedoes, leaving all those onboard stranded in the water. Thomas was one of only 14 crew members to survive the unimaginable ordeal. And nobody can tell the story quite like he can. So, here is a clip from our recent interview with Thomas.